Stephen A. Smith’s alma mater, Winston-Salem State, gets the spotlight on First Take. Winston-Salem State has given ESPN’s “First Take” Stephen A. Smith, so The Four Letter Network returned the favor by giving the Rams some shine on Tuesday morning. 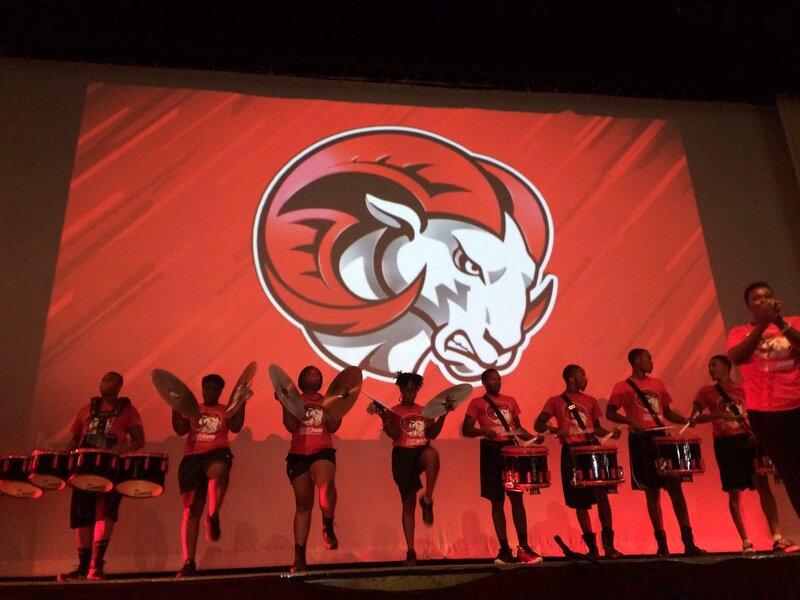 WSSU’s Red Sea of Sound, along with the Red Team cheerleaders and hundreds of students were featured in a pre-recorded segment of the show shot on campus earlier this semester. North Carolina Central was spotlighted on the show this summer. Check out WSSU’s spotlight here. The segment drew applause and praise from Smith. Smith graduated from WSSU in 1991 with a degree in mass communications. The New York native arrived at the North Carolina HBCU with dreams of basketball stardom, but a nagging knee injury derailed his hoop dreams. Instead, he started his career working for the Winston-Salem Journal and the Winston-Salem State News Argus, and the rest is history.